We are now accepting registrations for the OCTOBER 18, 2014 1-day basic photography workshop! Please check the details after the posters for more information. Despite storms and typhoons, we are still going at it! M2 Photography Studio in partnership with Henry’s Professional, Fujifilm and Lightroom will conduct the 1-day basic photography that will surely keep your passion ignited! No photography experience is necessary (although it would be nice if you have the passion for the craft and have read your camera’s manual). A digital point & shoot (with manual / PASM mode) or digital SLR is necessary for the photography workshop. While a video camera or camcorder with manual mode is needed for the video workshop. Call (02) 209-8300 / +639328854615 or email us at info@m2studio.biz for more information. Alternately you can also contact us here. Our instructors would be conducting the workshop in a seminar and hands-on format. 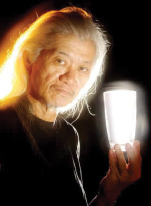 One of the Philippines’ foremost fashion and advertising photographers, with more than 30 years professional experience. His client list includes all of the major department stores, fashion designers and many of the leading magazines in Metro Manila. 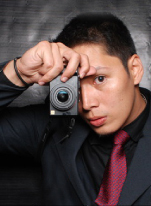 Of late, he is into education, teaching photography in the DLS-College of St. benilde from 2003 to 2010. Presently, he teaches at Cosmopoint International Institute of Technology while also conducting workshops for the Ayala and Ortigas Foundations. Michael’s works has been exhibited at the Philippine Consulate in New York during his 2 year post-graduate studies at Pratt Institute in the United States. He currently manages and owns M2 Photography Studio. More information at our Workshops page. Hoping to see you soon at our workshops! 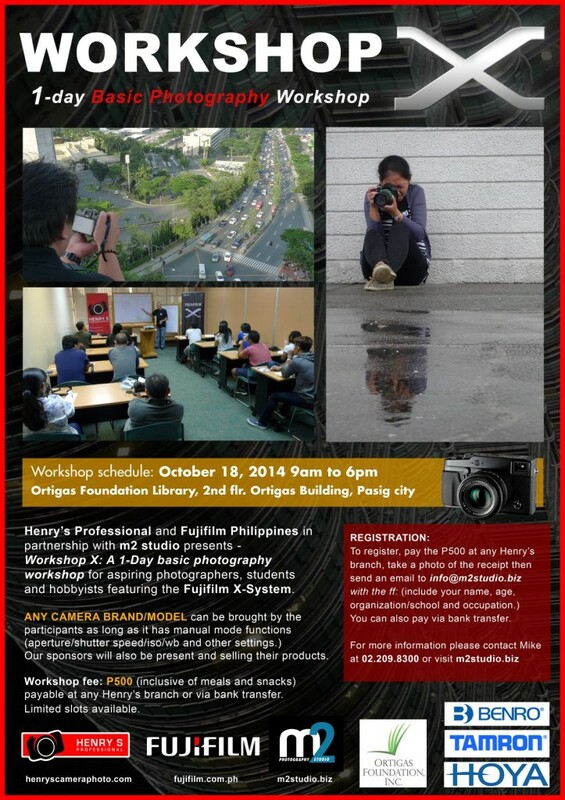 This entry was posted in Site Announcements, Workshops and tagged basic photography, beginner, Benro, cameras, creative, edwin celestino, fujifilm, henry's professional, Hoya, Lightroom, mike mariano, Ortigas Foundation Library, photography 101, Tamron, workshop, X System on October 1, 2014 by Studio Manager.